Today we are launching a brand new Apple Watch leather band Collection for Men, and we are thrilled to introduce it with all of you. 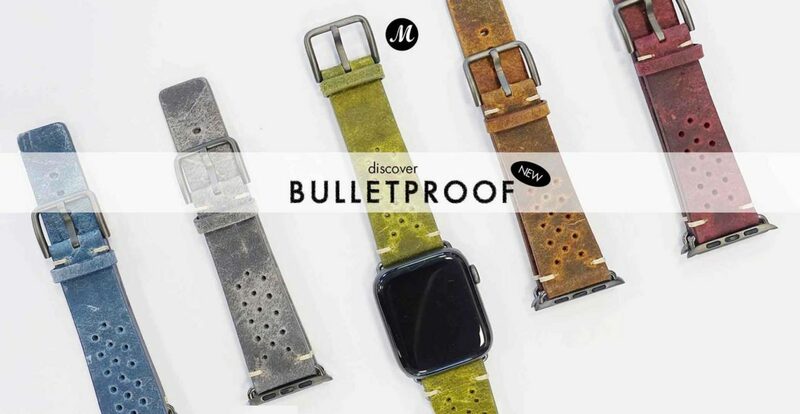 Bullet Proof is the perfect leather band for the Man that wants more from his Apple Watch, and as every product made by Meridio, it has been entirely made with Italian leather carefully aged for more than 3 months with a vegetal texture. The main characteristic of the new Bullet Proof Collection is the thoughtful design, enriched by thirty handmade slots that makes the leather band more transpirant and perfect to be worn during the four seasons. And here comes the name’s idea of this new Collection, as a defiance to the slots that adorn the new leather bands. 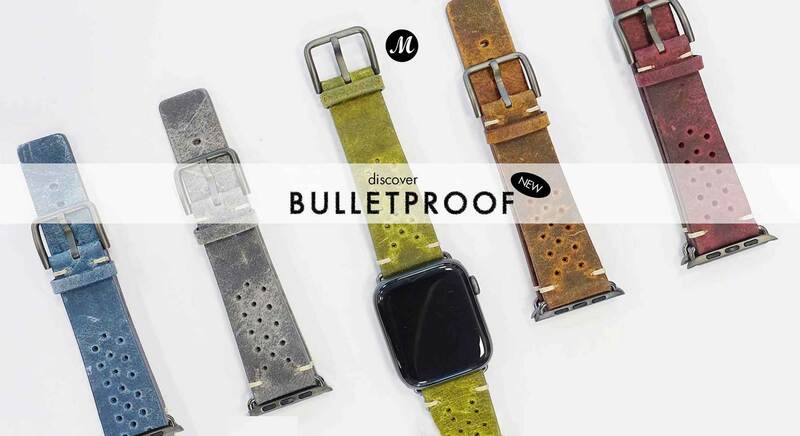 Each leather band for Apple Watch from the Bullet Proof Collection represents the nature of a true rational and thoughtful man, inspired by our typical italian head of the family, as a responsible, Careful, and strong person. The inspiration also melts with the romantic characteristics of our mainland, Italy. 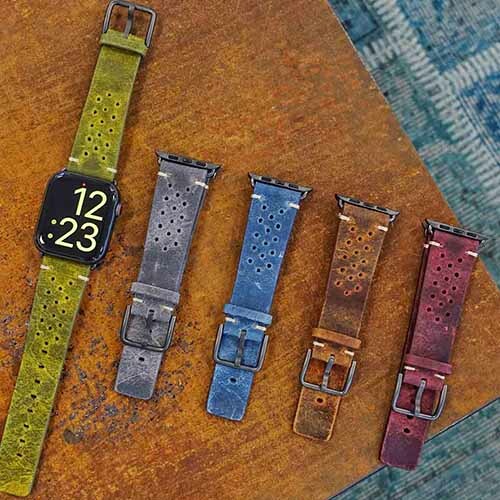 In our new Collection we have gave birth to five astonishing leather bands, in five different natural colours that will enhance the beauty of your Apple Watch. Stronger has a gray stone finish, perfect to wear with casual and more dressed up styles, and Care has the typical vintage warm brown texture, that reminds the ancient use of raw leather, enriched by cotton lining needlework . Promise recalls to the passionate man, that will enjoy wearing a made in Italy leather band that reminds the nuances of a glass of Tuscan red wine, with its well known rich texture. Hope is the leather band from the Bullet Proof collection closest to Mother Nature, thanks to its green musk gradation. In Italy, green is also the color of Hope, one of the most important values that never dies. 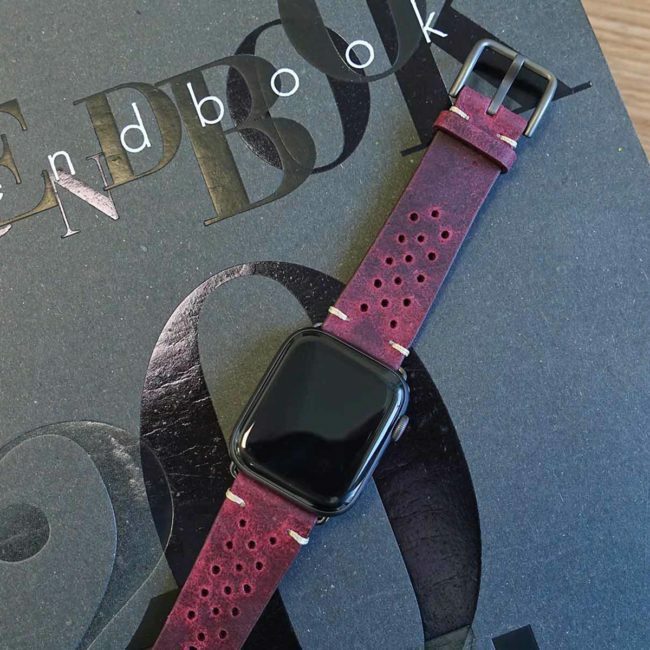 Sure that Bullet Proof Collection is going to be appreciated by you, we kindly remind you that each leather band is only available for 42 | 44 mm Apple Watch. 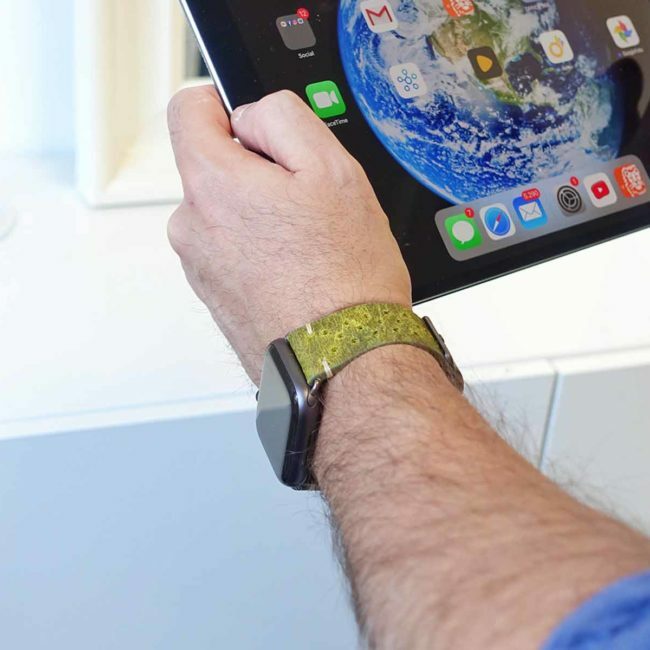 All the colors of summer 2018 at your wrist: combine your apple watch band with your perfect summer outfit.